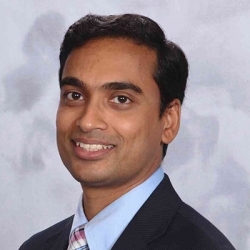 Raj is a Senior Project Manager with 17 years of engineering consulting experience. Managed on-call traffic engineering contracts worth $8 million with competing deadlines, multiple staff in various offices and multiple sub consultants. Has been technical lead for projects ranging in construction value from few million dollars to $2.5 billion. Proven ability to balance and prioritize multiple high-level projects with conflicting priorities and resources. Has strong interpersonal skills with track record for working in winning teams. Experience in Texas and Mid-Atlantic States on corridor studies, safety and capacity evaluation, GEC reviews, traffic control, design-build, toll planning, ITS, signal timing and traffic design. Experience in strategic planning, business development and client service. 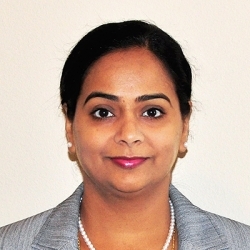 Sirisha is a Senior Project Manager with 16 years of transportation planning and engineering experience. Proven ability to balance and prioritize multiple high-level projects. Effective leader with winning track record on several corridor studies, design-build proposals, IAJRs, traffic and planning pursuits. Extensive experience in travel demand modeling and simulation modeling for multimodal projects all through Texas and Midwest. Successful in pursuit management and client relations for several industry clients.